FOEC is currently seeking applications from high school seniors or college students who are passionate about their study of the environment. At least one $1,000.00 scholarship to pay for tuition of books will be awarded in May 2019. Applicants must not have received a previous scholarship from the Friends of Euclid Creek. FOEC could give preference to a student who attends or has attended a school located in Beachwood, Cleveland, Euclid, Highland Heights, Lyndhurst, Mayfield Heights, Pepper Pike, Richmond Heights, South Euclid, Willoughby Hills, or Mayfield Village - the communities in the Euclid Creek watershed. Applicants will be evaluated on the basis of their background and their potential to make a contribution to environmental studies or a related field. Interested students must submit a one to two-page letter describing their career goals, past volunteer work related to environmental studies, and significant achievements to date. Applicants also must provide a minimum of one letter of recommendation from a teacher, counselor or community member. The scholarship winner(s) must agree to provide a written report by February 1, 2020 describing how they spent their scholarship money to advance their education. Additionally, FOEC will invite all past and future scholarship winners to attend the FOEC annual meeting and picnic in order to report on their accomplishments. All application materials must be postmarked on or before April 1, 2019. 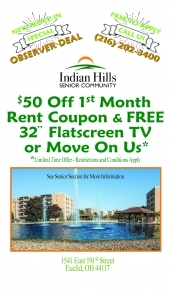 They should be mailed to the Friends of Euclid Creek at P.O. Box 21384, South Euclid, Ohio 44121, unless the applicant has reached an agreement with FOEC to submit them via email. Applicants must also be willing to interview with FOEC members, upon request. 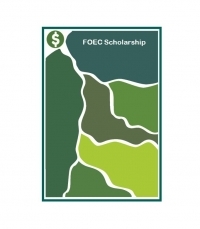 Questions concerning the scholarship or application process may be directed to FOEC member Jeanette Evans via email at: jeanette.evans@sbcglobal.net. 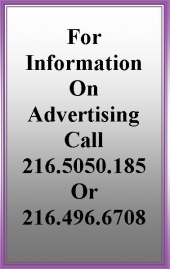 Information may also be obtained at the organization's website: http://www.euclidcreekwatershed.org, click on ‘Programs’ and ‘FOEC Scholarship’. The Friends of Euclid Creek organization is again delighted to offer this scholarship opportunity and looks forward to helping a passionate student realize his or her educational aspirations. The Friends of Euclid Creek's mission is to raise awareness about and preserve the natural features of the Euclid Creek watershed.